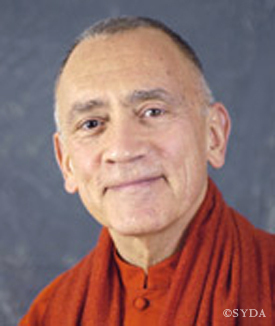 Before taking monastic vows in 1980, Swami Vasudevananda taught theater at the New York University School of the Arts and the New School for Social Research. Swami Vasudevananda oversees the team of teachers who are the authors of The Power of Siddha Yoga: Path of the Heart. A student of Gurumayi Chidvilasananda, he has been practicing Siddha Yoga for more than thirty years. He has been a Siddha Yoga meditation teacher since 1981. Swami Vasudevananda has traveled extensively to teach in Siddha Yoga retreats and Shaktipat Intensives. Guided by Gurumayi's teachings and principles, he has contributed to the development of numerous Siddha Yoga courses.